Friendly and welcoming staff to beginners and experienced riders. They’re ready to answer all your questions and concerns. The simple layout of the studio makes it easy to navigate. We especially liked the individual showers and change-rooms alongside plenty of hangers and lockers to store your stuff in. Complimentary towels at the front desk were a necessity in the class itself. 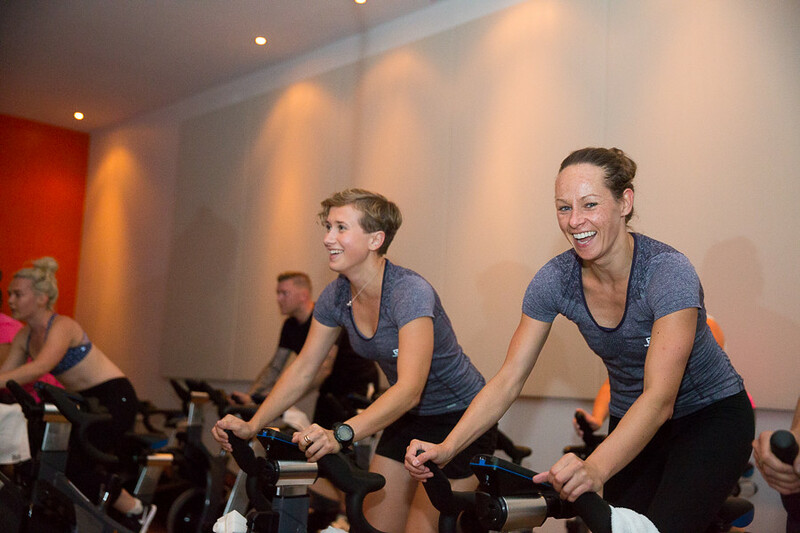 Spinning for 60 minutes in the studio alongside a number of other riders, you automatically notice the benefits of just the right temperature and good air-flow. That made the class a less painful than it actually was! Though you have to get used to the bikes and figure out which buttons to push, you get used to it very quickly and the bikes are quickly adjustable and comfortable. It’s very dark during the class itself. This is perfect for those who like to get in the zone to concentrate on themselves. The closest to a “road-bike-feel” we’ve seen in Toronto spinning studios so far. Our instructor, Jenny, was just the right amount of upbeat and motivating, specifically when you needed it most. Jenny’s especially skilled in music selection. The Rihanna versus Calvin Harris ride was bliss. Personally I liked the “dark room”. I like getting into my “own little world”, and the darker room made that the perfect environment. Jenny’s class was a practical spin class versus the popular dance-type-spin classes which we preferred as it’s transferable to a training schedule. Although most cyclists and athletes train by heart rate (HR), in this class, the work out was tracked using RPMs (revolutions per minute – your number of rotations per minute) and watts (your actual power) which we felt was a challenging and a complementary training tool. During the class, the instructor is able to track and see everyone’s efforts and if the instructor feels you’re taking it a little too easy, guess what?!? The instructor will nicely call you out on it! This way you can never complain you didn’t get your money’s worth! Better yet, when you sign up for a class through Torq’s website, your bike is connected to your online profile. Once you’re done your class, all your hard work (or lack thereof) is recorded! As we all love stats and metrics, it’s a complementary tool to see your progress overtime. If that’s not motivating enough for you, the progress report also creates a community-challenge by comparison your effort to your class mates for a specific class and over a month’s overall. Don’t be afraid to ask questions before the class, directions on how to set up your bike property (which switches and buttons on the bike are which) and clarify instructions. Although you could figure it all out during the class, we feel having it figured out prior to will make for a more fun and worthwhile experience for you! Be prepared to be in a completely dark room! Another reason it’s worth it to figure the bike out ahead of time. Nat & Tina are wearing SALOMON Elevate Seamless tee. 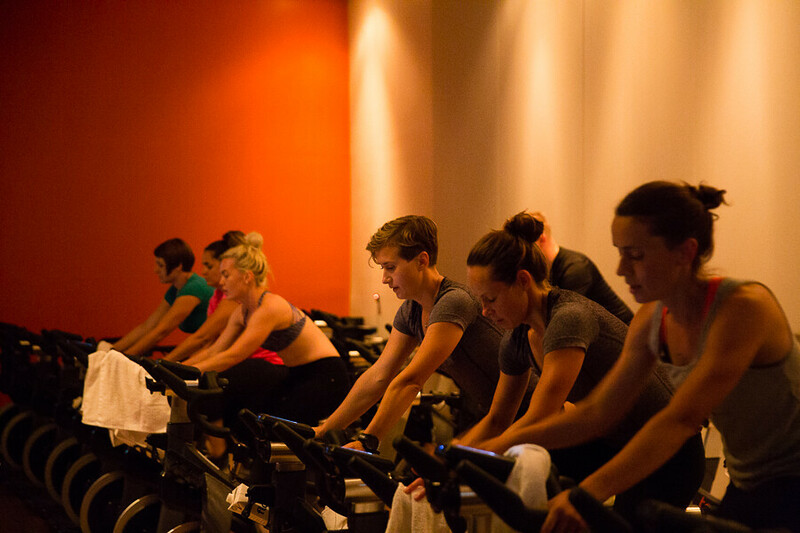 Definitely a cycling studio worth trying out!